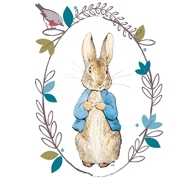 This high-quality Peter Rabbit toddler’s backpack is perfect for pre-school, nursery and primary school. Made from 100% cotton and with a PVC coating, this charming green polka dot backpack is easy to wipe clean. Featuring adjustable backpack straps and a delightful original illustration from Beatrix Potter’s Peter Rabbit, printed on the front. This cute and characterful backpack is sure to be a hit with your little and has a little plastic window to write your young one’s name at the back. 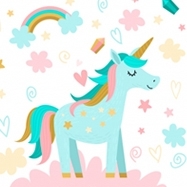 Based in Paris, Petit Jour is a highly reputable French company, which has been designing and distributing a wide range of high quality children’s accessories for over 35 years.